Yes, I’m grilling by flashlight. 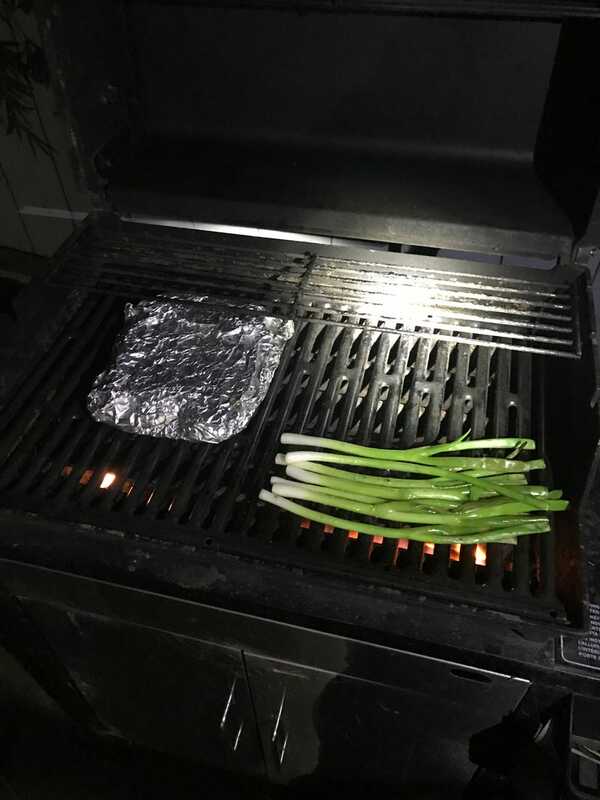 Those are green onions and in the foil is asparagus, onion, olive oil, paprika, salt, pepper, garlic salt (a bit redundant now that I type it out) and whatever else was close at hand. Anyone else running at Laguna Seca this Saturday? I’ll be in #673 which is a blue 911. I’m fueling the human tonight. Porsche later.